London, as a city, has many things going for it. It has for centuries been a focal point of banking, business, politics, law, religion, art et al. To consolidate and enhance it’s position, works have been carried out over the years which have been on the forefront of technology. The #ThamesTunnel was the first tunnel known to have been successfully constructed underneath a navigable river. 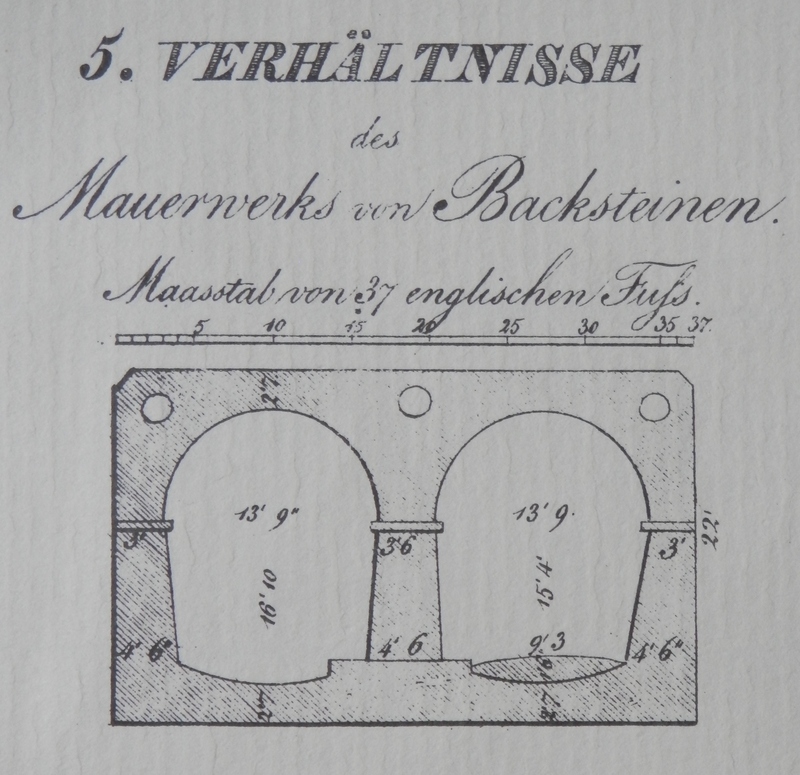 It’s construction took 18 years(1825 to 1843). It measures 35 feet wide by 20 feet high and is 1,300 feet long, running at a depth of 75 feet below the river surface measured at high tide. The tunnel was originally designed to be used by horse-drawn carriages but never used as such. 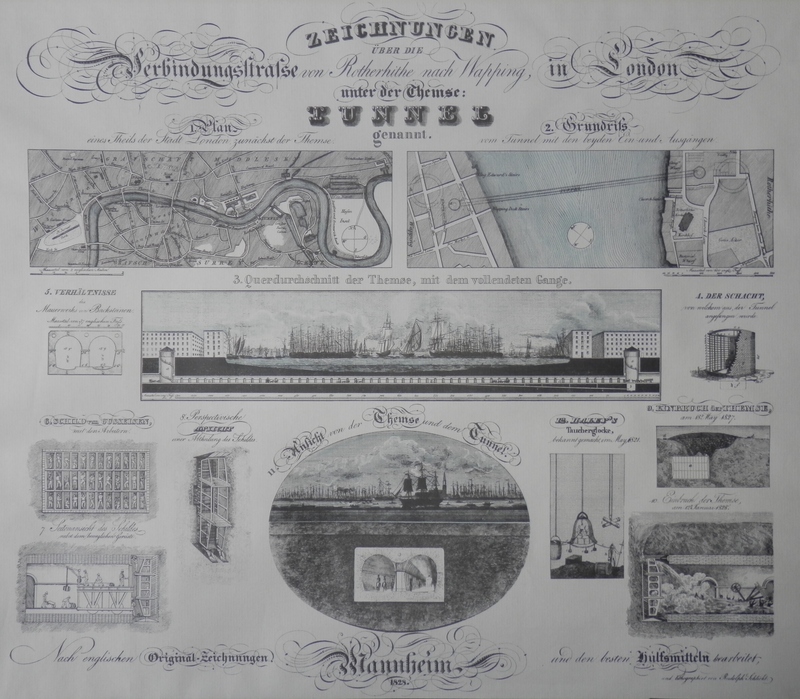 The lithograph in my collection shows a great number of aspects in regards to the construction of the tunnel. 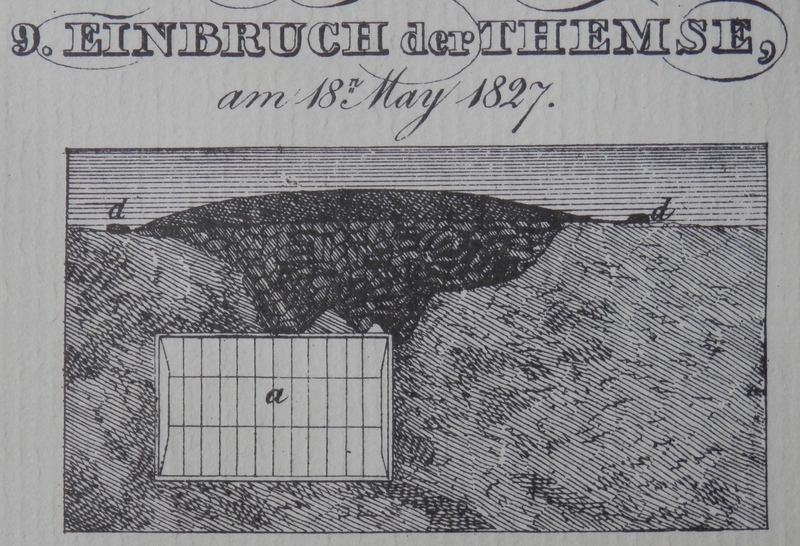 A newly invented ‘tunnelling shield’ devised by #IsambardBrunel and #ThomasCochrane was used to facilitate the tunnelling process. Even so, problems were rife. The air quality was terrible, the filthy sewage water seeping from above caused methane gas which would ignite because of the workers gas lamps. 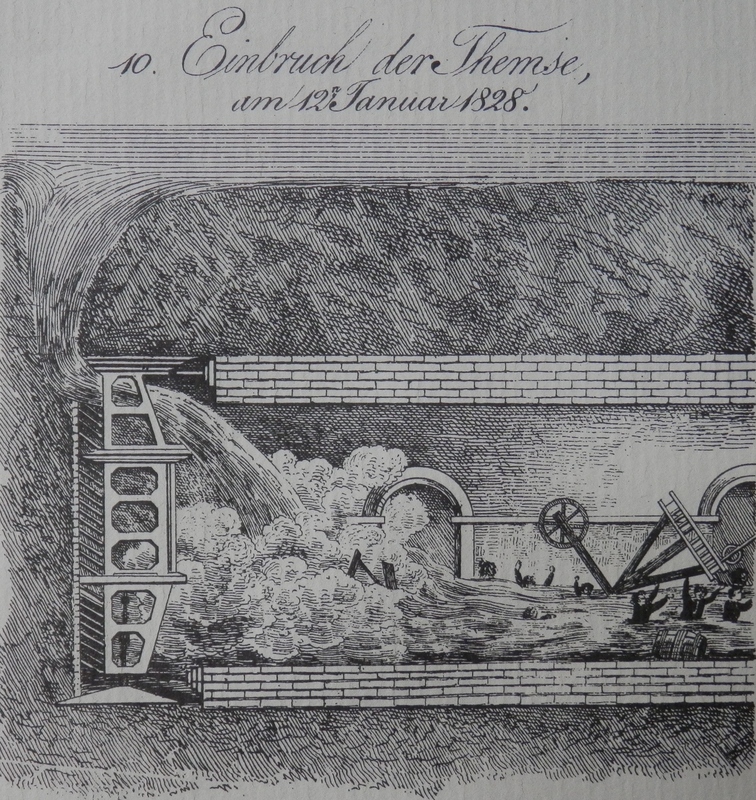 The tunnel flooded numerous times and holes needed to be plugged from above by descending into the Thames in a diving bell. The huge financial cost of tunnelling meant that work was suspended for seven years while funds were raised. 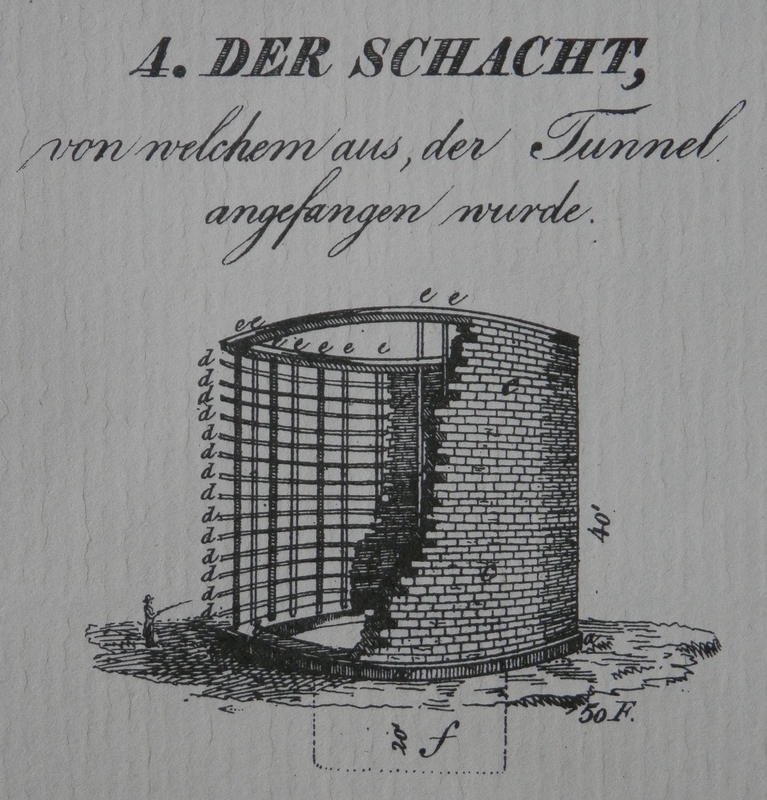 The Thames Tunnel was fitted with lights, a roadway and had spiral staircase entrances. 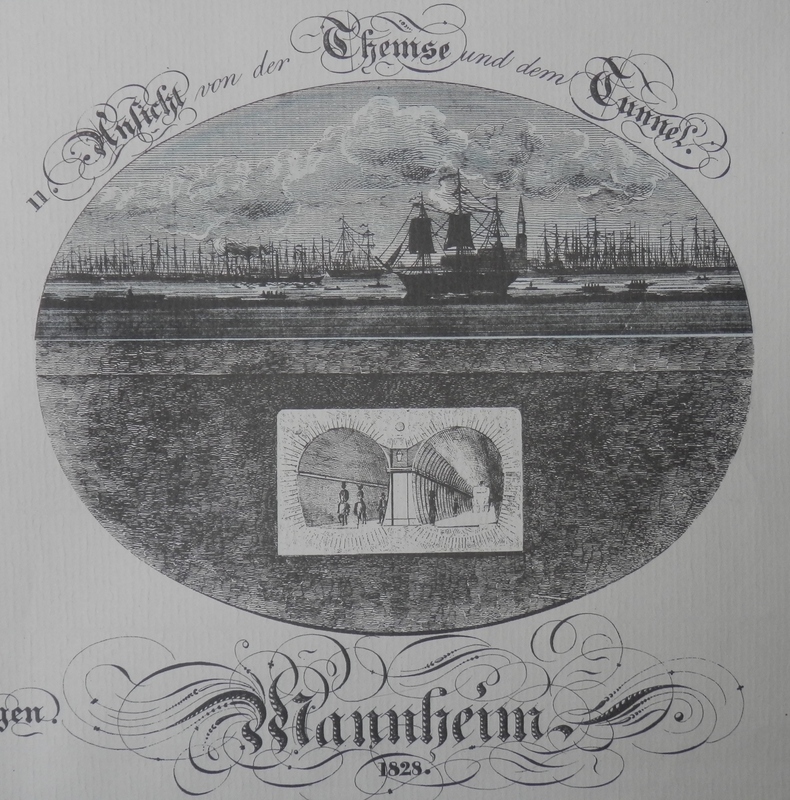 The tunnel was finally opened to the public in March of 1843. A triumph of civil engineering, the Thames Tunnel was a financial disaster. It had cost a fortune to build. It was used only by pedestrians but it did became a major tourist attraction, attracting about two million people a year, each paying a penny to pass through. It is now part of the London Overground Rail Operations system. 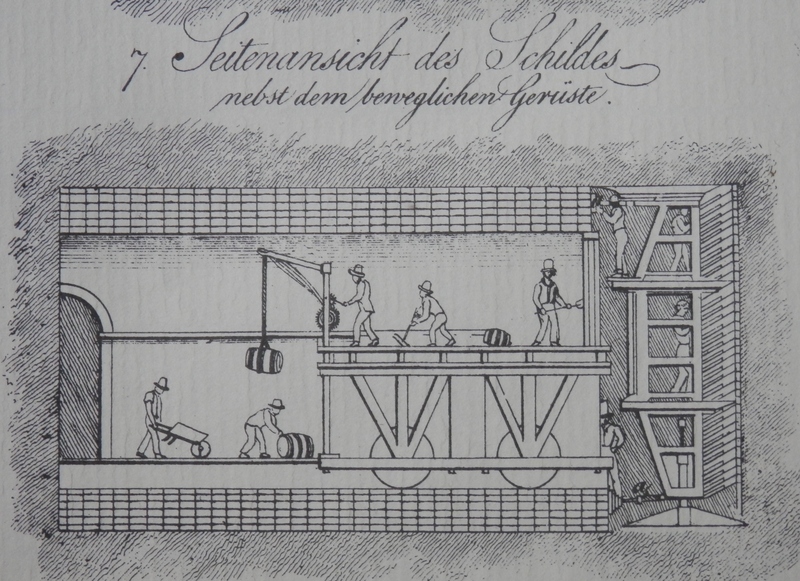 I will include close-ups of the lithographs smaller images so that you may appreciate the ingenuity and technology which was created and used to build the Thames Tunnel. 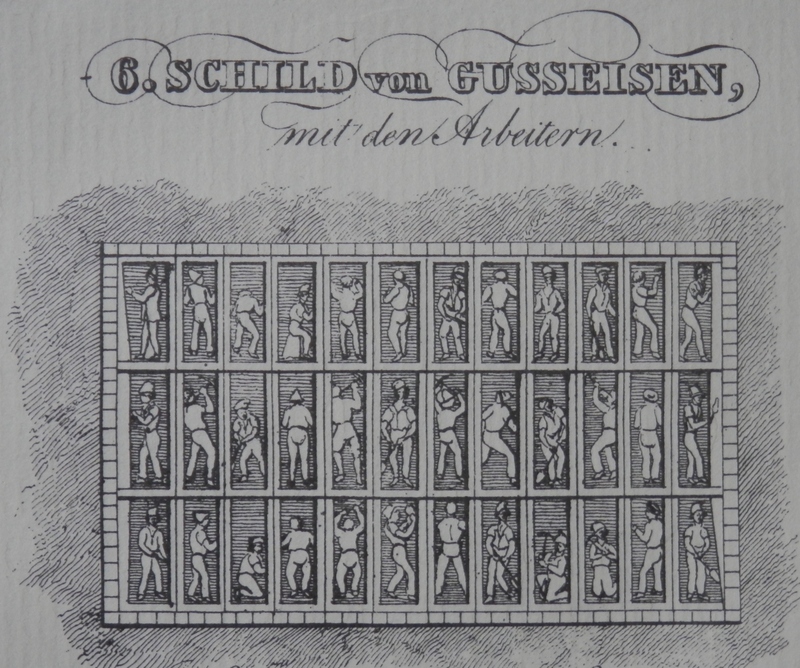 The lithograph is by #RudolphSchlicht (I have found little info regarding him) and all writing is in German. 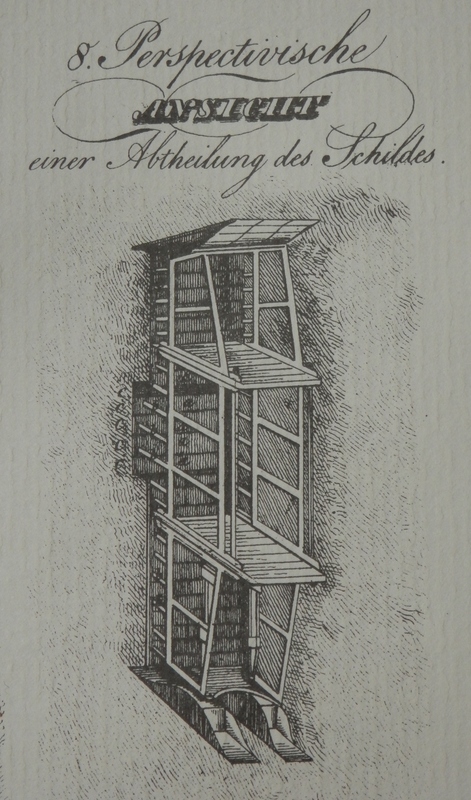 This entry was posted in Lithographs, Modern prints and tagged diving bell, flood, London, Thames, tunnel, water. Bookmark the permalink.